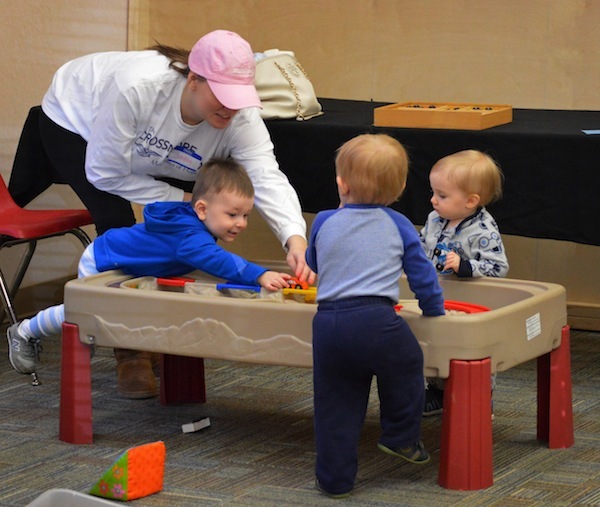 Play & Learn provides a fun hour of activities for parents/caregivers and their children, age birth to five. 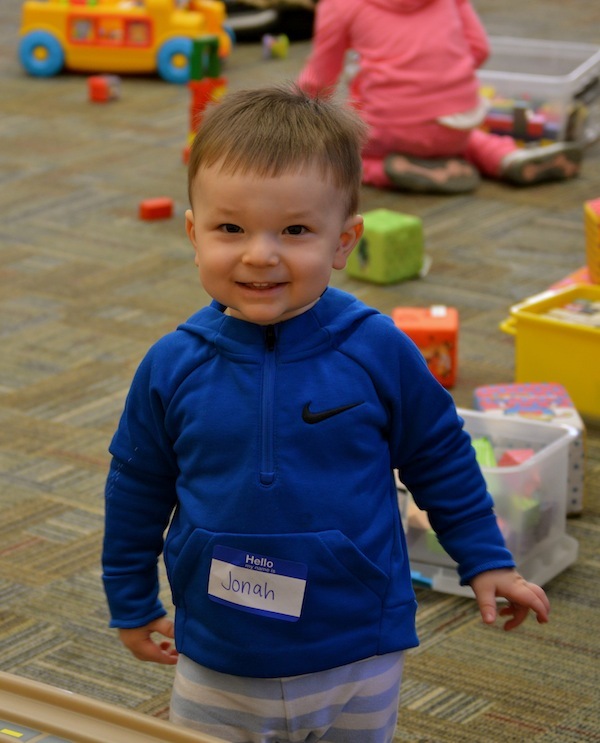 The objective is to play together in a structured setting with age-appropriate toys, games, and activities that promote overall growth in young children. 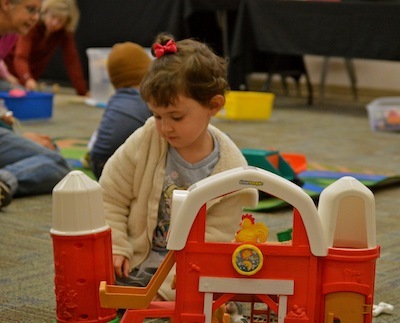 The Play & Learn hour provides you and your children an opportunity to meet and interact with others. It’s a perfect situation for parents and kids to get out of the house and make new friends. The First 2000 days (birth to kindergarten) of your child’s life are important. Brains are not born, they are built. High-quality learning experiences build brains that are ready for school success! 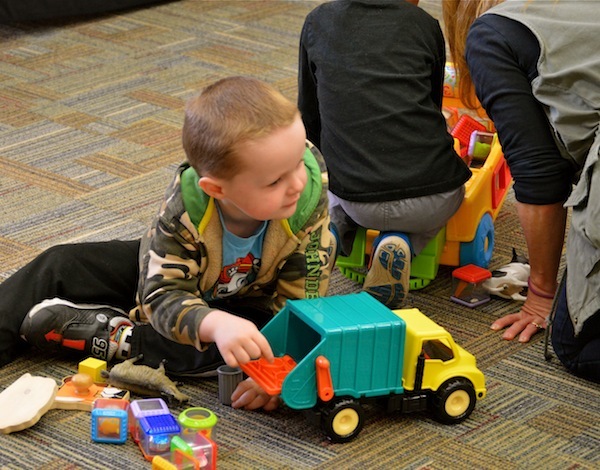 Play & Learn groups allow kids to interact with other children to develop important social skills. 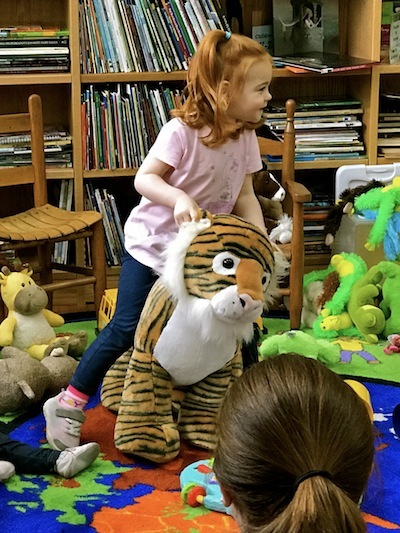 Play & Learn provides educational toys and planned activities that promote the development of skills important to school readiness and success in their education. As your child plays with their peers, the Play & Learn coordinator gives examples of how to work skill development into play. 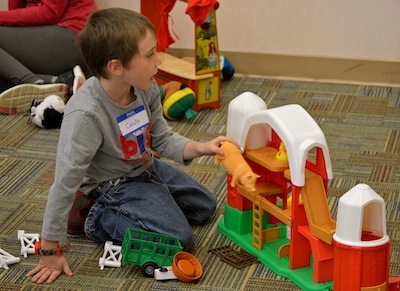 Play & Lean groups have toys that are fun and age-appropriate. It’s a perfect opportunity for home-schoolers to meet other kids. 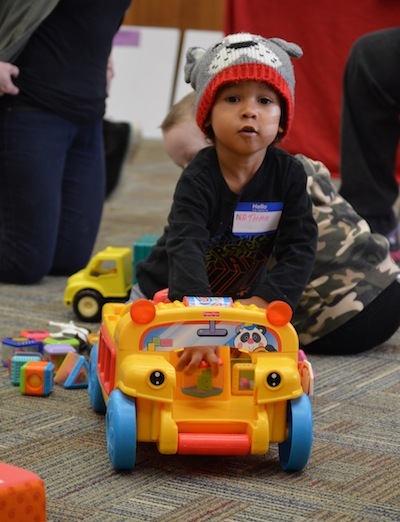 Through structured playtime, kids learn social skills such as sharing and helping, improve hand-eye coordination, and begin to develop problem-solving abilities.